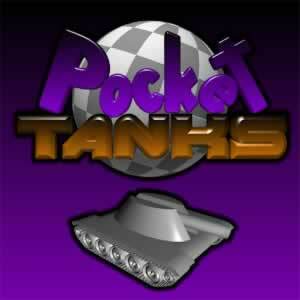 Pocket Tanks is a game that requires you to skillfully eliminate your opponents by blasting the life out of them. Sounds easy, right? However, you have to remember that there are certain mechanics that you need to consider in this game. In order to shoot your enemy, you have to set your aim, choose the power of your shot, and take note of the position of your opponent. There is more to the gameplay of Pocket Tanks that makes it a classic artillery game. Aside from the skills that you need to have in playing the game, you can also have a competitive advantage over enemies by the weapons that you choose. Be wary though, there is a limited number of weapons in the free version of the game. What if we tell you that you can get all the weapons in the game? Yup, that’s right! With the Pocket Tanks Deluxe edition, you can now have unrestricted access to the hundreds of weapons available in the game. By getting the deluxe version of Pocket Tanks, you will also have the privilege to get the future weapon expansion packs that are being added to the game. For 17 years, the developer of Pocket Tanks continuously updates the game and add more stuff to make it more interesting through the years. As such, if you have the deluxe version of Pocket Tanks, you will have the competitive advantage over your opponents because you can use over 300 hundred weapons compared to the free artillery that your enemies have. You can also use nifty upgrades such as the Jump Jets, Bouncy Dirt, and Digger to further eliminate other players in the blink of an eye. Now that you know the things that you can have with Pocket Tanks Deluxe, why don’t you head on to our Pocket Tanks download page to get started? You can also visit our Pocket Tanks FAQ page to learn more about the game.